We have heard this story before… But when we take the time to really think about it, we can see some incredible truths about who Jesus is, what he has done, and how we are to respond. 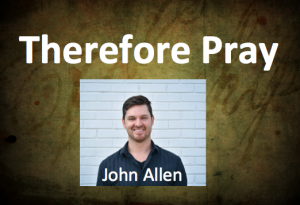 In this message, John Allen, pastor of Crosscurrent Church shares with us the importance of prayer in the mission of the church. In this message, Dallas Stamper- the Executive Director of PIN (People In Need)- reveals the ways we can avoid straying from our Christian values and principles. This week, Dallas Stamper will be preaching. He is going to be focusing on Christian Values and I know that you enjoy the message. Please pray for me as I travel to Nicaragua with 3 other men to minister to 5 boys in a group home there. We will be talking to them about courage. As we conclude this series on 1 John, we see that John sums up much of what he has been saying throughout this letter. In 1 John 5:13-21, we learn five assurances or certainties for every Christian. This week, we conclude our study of 1 John. 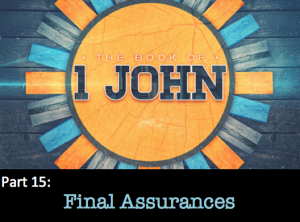 In this final passage we will see John summarize the entire letter– hitting on 5 final assurances or certainties we have as followers of Jesus. 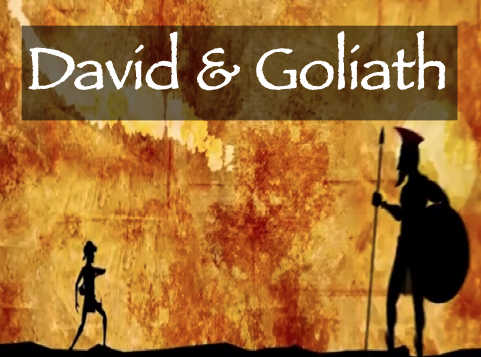 In a world that is anti-Jesus, it is important to remember what is true about us as Children of God. I know that I need to be reminded often! To prepare, read 1 John 5:13-21.